Today I wanted to try and explain exactly what it takes to build muscle without going into too complicated of details. I find that there are so many people and authors out there today that over complicate this topic to simply lure you into buying their latest program or their newest supplement. Now of course, I have my own muscle building program and I would recommend some supplements to you as well but I am not saying that it is wrong. Today I simply want to give you good information that will hopefully clear up any confusion about what it takes to build muscle in its essence. I am going to keep this nice and simple and base it on personal experience because in the end I believe your own personal experiences are the best way to measure any kind of results. You cannot simply rely on 'studies' or 'university tests' as most of these tests are either biased or they are based on genetically gifted individuals. What do you need to do to build muscle? Well let's think about this question for a moment. First, understand that your body is more than content with staying EXACTLY the way it is right now. It would rather not change and it is programmed to be this way after thousands of years of evolution. This means that to make any change in our bodies composition, we are going to have to 'coax' it or persuade it in doing so. So for today's purpose, building muscle, how do we persuade our bodies to do this? Well we have to give it a 'reason' to grow! There are many ways to do this but I am going to break it down into some manageable chunks. One of the keys to gaining muscle and weight is to consume more calories. The reason we want to give our bodies more calories is because if we are going to demand more out of them than what they are accustomed to, then we need to feed them with more fuel. Think of it as if you want to travel further in a car. If one tank of gas gets you so far but you want to go further, you need to have more gas right? It's the same for building muscle. Feed it more so you have more energy to push it into spurting new muscle. Now without going into excruciating details (which is not the point of this particular article), you cannot simply overfeed on junk food. Make sure you are eating lean proteins, complex carbohydrates and healthy fats. Now that you are eating enough to give your body 'extra energy' you will need to stress the muscles so that they respond by getting bigger. Your muscles are currently the size they are based on the level of activity you have done in the past, your genetics and your strength. We cannot change your genetics, but we can however change your strength to a degree as well as elicit hypertrophy (muscle building) by weight training. To put it simply, you need to start progressively overloading your body with some form of resistance training. Honestly, do not get too concerned about finding that 'Special' program that will be better than all the other programs out there. There are just too many training programs to try and choose 'the best' one. In my experience, they all work! Yes of course some may be better than others but in the end you will get results no matter which program you try as long as you follow the key rules to muscle building. Rely on the foundation and principles instead of the program. In doing so, you will get results no matter which program you are on. What are the foundation and principles? Progressive Overload, Adapt, Proper Form, Mindset, Rest and Recovery. The main thing is to continue stressing the muscles by either overloading with volume training, getting stronger by strength training and making sure to give your body enough time to rest and recover and therefore GROW! This is not to say that you can just keep getting stronger to the point that you will be performing 1000lb bench presses, but by cycling your training through different stages, you will start to get closer to what your genetic potential for muscle mass really is. Eventually the gains will get harder to come by, but if you are just starting out, this will not be an issue. By applying the right factors for muscle building, you will start to gain lean mass and you will start to gain weight which is good because that is the goal we are after. However, you need to also accept that when you are gaining muscle that it is almost impossible not to gain a bit of fat while doing so. Now I know there are going to be lots of people claiming that it can be done but in my experience these are people who are genetically gifted and they are the exception to the rule. Other people who tell you this may be people trying to sell you something. 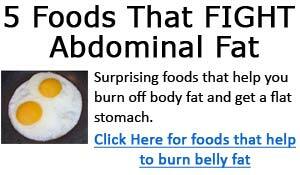 Finally, you can gain eliminate fat gain by gaining muscle at a slower rate. It is your choice, but for those of you who want to build some serious muscle as quickly and effectively as possible, then you will just have to accept a bit of fat gain. Well for the most part, for every 4lbs of muscle or lean mass you build, you will probably accumulate about 1-2lbs of fat with this. Of course this is if you are doing everything right and eating relatively clean. Now you might be saying 'I don't want to gain fat!'. Just realize that the muscle you build during the course of your muscle building phase will be on your body permanently provided you continue training and eating right. What you want to do is go on a muscle building phase for about 6 months or so or longer (it is up to you) then you want to go on a fat burning phase for a couple of months to burn off the accumulated fat and keep the muscle! See how that works? This is just the way it is and I have experienced this myself and it is not as bad as it sounds. Most people do this continually and they consistently add 5-10lbs of muscle each time they do this until they start to reach their maximum genetic potential. The good thing about doing this is you also get better each time you go through these phases and you start to optimize your gains and improve on your muscle to fat gain ratios. Just accept a bit of fat when gaining muscle and don't stress over it. It happens to all of us and you will certainly be more grateful for the muscle after it is all said and done. Those are 3 simple areas of muscle building that should help you understand it a bit better. I hope it is simplified enough and it doesn't make you over-think which is in my opinion the one thing people do too much of (including myself sometimes). Keep it simple and always go back to the basics. In knowing about these 3 things, it should put your mind at ease and let you focus on training, eating and enjoying the journey.